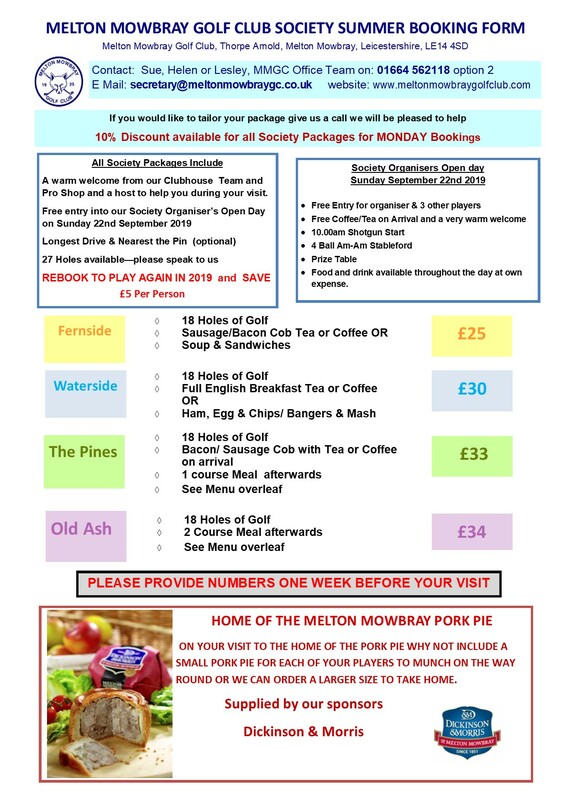 Book a summer day’s golf here at Melton Mowbray from as little as £25 to include 18 holes of golf and a Bacon Cob/Tea or Coffee on arrival. We have several packages and we’re sure we have one to suit your society needs – please see the selections below. 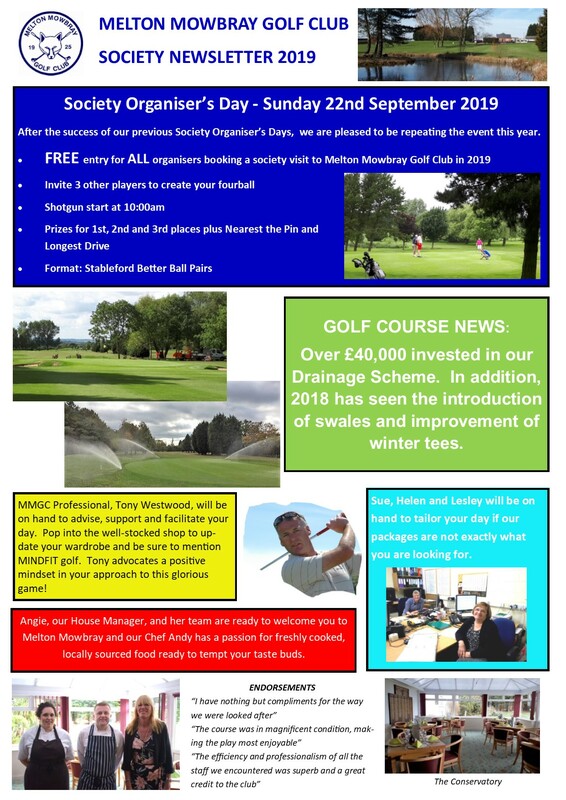 To book please ring us on 01664 562118 option 2 to speak to the office team, Alison, Helen or Lesley or ring 01664 569629 to speak to our Club Professional Tony Westwood and his team. You can be sure of a warm and friendly welcome from us all. 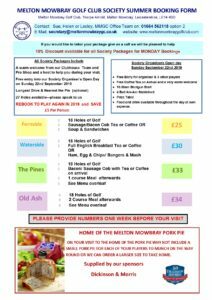 A re-book offer to play during 2019 - SAVE £5.00 PER PERSON ON A SECOND VISIT DURING THE YEAR. 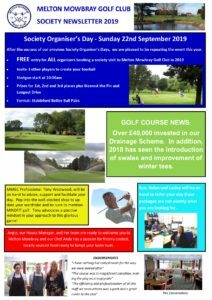 For more information, please call Alison, Helen or Lesley on 01664 562118 (option 2) or alternatively, click to contact us.